Our tool with the largest and widest area of contact provides a great platform for joint mobilization and active release. 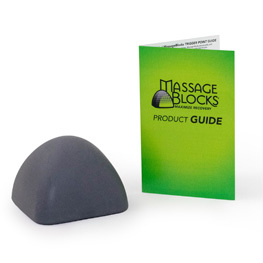 The Large Block is an essential tool allowing firm targeted pressure when and where you need it. 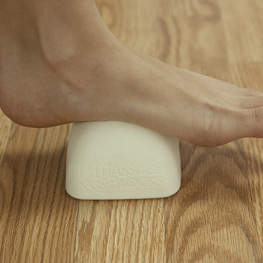 The Large Block is great for Sore IT Bands, Plantar Fasciitis, The Rhomboids, Traps and Levator Scapulae. Every serious runner and cyclist, should have this this tool in their tool kit. Please see our Video Demonstration for Releasing Neck and Shoulder Muscle Tension. All of these videos and everything in our Video Library just scratches the surface of what can be done with these amazingly versatile tools. The experience of deep tissue massage may be intense, even overwhelming, to those experiencing it for the first time (it should never hurt). Just remember to go slowly, and if it hurts, stop immediately and speak with your physician before trying again. Please see our Warning and List of Red Flags. This purchase includes the Large Knot Finder only.